Morpeth Town Council has requested traffic information for a key junction. 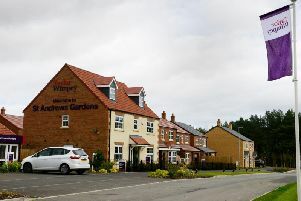 Concerns were raised during a planning meeting for the major housing development at the former St George’s Hospital site about the extra vehicles using the link road with Dark Lane that is also used to access the Morpeth NHS Centre, particularly construction traffic. With works set to start this month, it has asked for quantitative data on safety and activity at the junction.